2. Show that you value their knowledge and work: There are a lot of things about a hospital we simply do not learn in a lecture hall. Most people love to teach and share knowledge. They feel more positive about a relationship when others understand their role and expertise. Don’t be afraid to admit when you do not know something and need a nurse to teach you. Nurses taught me how the mechanical beds work, how to adjust a patient’s position without hurting my back, and where to find the disposable stethoscopes. They also taught me which soda machine was the coldest, helped me anticipate different physician personalities, and gave me insight to my patient’s history that the patient didn’t mention to me. I always learned something new and they understood that I respected their experience. 3. Share the credit: This applies to so many areas in life and can go a long way toward improving professional relationships. We have all been on a team with someone who takes credit for everything and none of us like that person. Be generous with sharing credit. As an example of how to incorporate this principle, if you make a habit of discussing your patients with the nursing staff you’ll learn things about their disposition that you might not have noticed and ensure they have the information they need to provide good care. When a nurse makes a great catch and notices something that needs to be addressed, make sure they get credit for it. When you bring it up to the attending try phrasing like, “Overnight Julie noticed this and we wanted ask if we could…”. It is a sign of respect for their contribution to make sure they are acknowledged for their effort and discernment. These are just a few small practices that you can incorporate to improve your relationships with those around you. We may have different career paths and different roles but we all have the same goal. We all want to provide great patient care. Cultivating good relationships and communication by treating nurses as part of your core team can reduce medical mishaps. Remember that your team consists of more than just attending physicians, residents, and your fellow medical students. If you can consistently treat nurses as an important part of the health care team, you’ll improve your educational experience and provide better treatment to your patients. 1. Nadolski GJ, Bell MA, Brewer BB, Frankel RM, Cushing HE, Brokaw JJ. Evaluating the quality of interaction between medical students and nurses in a large teaching hospital. BMC Medical Education. 2006;6(1). doi:10.1186/1472-6920-6-23. 2. Grant A, Gino F. A little thanks goes a long way: Explaining why gratitude expressions motivate prosocial behavior. Journal Of Personality And Social Psychology [serial online]. June 2010;98(6):946-955. Available from: PsycARTICLES, Ipswich, MA. Accessed December 12, 2016. 3. Benike LA, Clark JE. 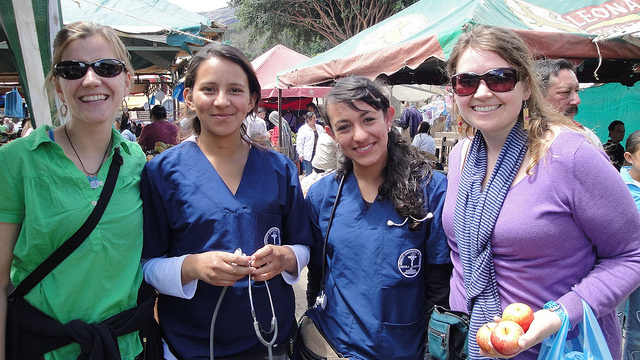 Bridging the Professional Divide Between Nurses and Medical Residents. Harvard Business Review. https://hbr.org/2013/09/bridging-the-professional-divide-between-nurses-and-medical-residents. Published 2014. Accessed November 27, 2016. 4. O'Leary ,K.J., Ritter CD, Wheeler H, Szekendi MK, Brinton TS, Williams MV. Teamwork on inpatient medical units: Assessing attitudes and barriers. Quality & Safety in Health Care. 2010;19(2):117. http://proxy.campbell.edu/login?url=http://search.proquest.com/docview/1778844651?accountid=9858. doi: http://dx.doi.org/10.1136/qshc.2008.028795. 5. Bournes DA, Milton CL. Nurses' Experiences of Feeling Respected--Not Respected. Nursing Science Quarterly. 2009;22(1):47-56. doi:10.1177/0894318408327294. 6. Sutcliffe KM, Lewton E, Rosenthal MM. Communication Failures: An Insidious Contributor to Medical Mishaps. Academic Medicine. 2004;79(2):186-194. doi:10.1097/00001888-200402000-00019.